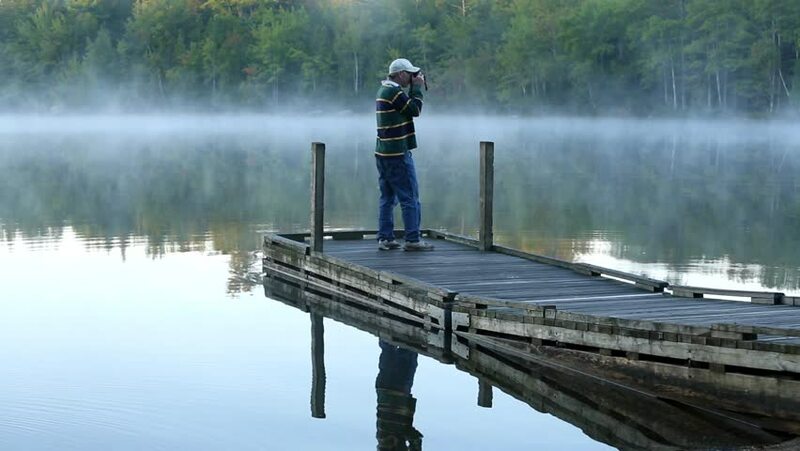 A photographer walking onto a small boat dock at Toddy Pond in Maine in the early morning light. hd00:27A video of a small wharf at Toddy Pond, Maine in the early morning with mist flowing above the waterline. hd00:10Traveler take a photo on Wood bridge at Pang-ung lake, Maehongson, North of Thailand. hd00:14Beautiful Sunrise Time Lapse with calm reflection at Darul Quran Mosque by a lake in Selangor, Malaysia from night to day. Prores 1080p. Zoom in Camera Motion. hd00:10Handheld POV shot from a motorboat blasting through a narrow canal surrounded by lush vegetation. Vilkove, Ukraine is called "Ukrainian Venice" for the abundance of canals. hd00:10Point of view from the front of a canoe while floating on a calm river through a thick forest in Finland wilderness.